Тип: тв-сериал, 220 эп., 23 мин. 02. My Name is Konohamaru! 03. Sasuke and Sakura: Friends or Foes? 06. A Dangerous Mission! Journey to the Land of Waves! 07. The Assassin of the Mist! 12. Battle on the Bridge! Zabuza Returns! 14. The Number One Hyperactive, Knucklehead Ninja Joins the Fight! 20. 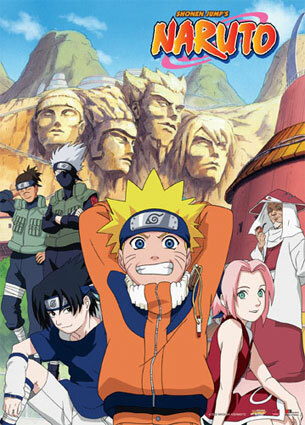 A New Chapter Begins: The Chunin Exam! 22. Chunin Challenge: Rock Lee vs. Sasuke! 23. Genin Takedown! All Nine Rookies Face Off! 25. The Tenth Question: All or Nothing! 26. Special Report: Live from the Forest of Death! 29. 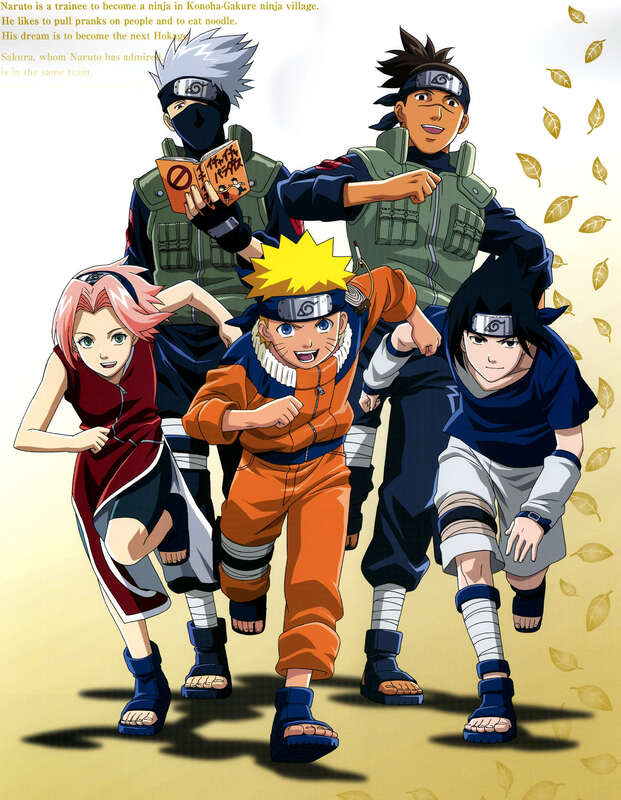 Naruto`s Counterattack: Never Give In! 30. The Sharingan Revived: Dragon Flame Jutsu! 34. Akamaru Trembles: Gaara`s Cruel Strength! 36. Clone vs. Clone: Mine are Better than Yours! 37. Surviving the Cut! The Rookie Nine Together Again! 38. Narrowing the Field: Sudden Death Elimination! 39. Bushy Brow`s Jealousy - Lions Barrage Unleashed! 40. Kakashi and Orochimaru: Face-to-Face! 41. Kunoichi Rumble: The Rivals Get Serious! 42. The Ultimate Battle: Cha! 44. Akamaru Unleashed! Who`s Top Dog Now? 45. Surprise Attack! 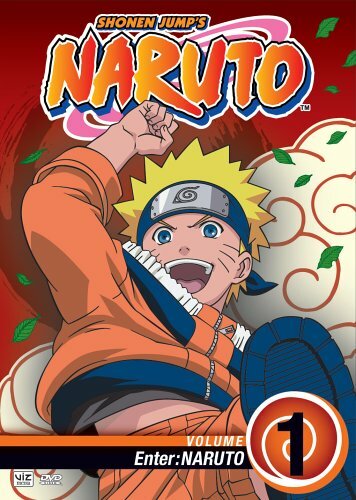 Naruto`s Secret Weapon! 46. Byakugan Battle: Hinata Grows Bold! 47. A Failure Stands Tall! 48. Gaara vs. Rock Lee: The Power of Youth Explodes! 49. Lee`s Hidden Strength: Forbidden Secret Jutsu! 52. Ebisu Returns: Naruto`s Toughest Training Yet! 53. Long Time No See: Jiraiya Returns! 54. The Summoning Jutsu: Wisdom of the Toad Sage! 56. Live or Die: Risk It All to Win It All! 57. He Flies! He Jumps! He Lurks! Chief Toad Appears! 58. Hospital Besieged: The Evil Hand Revealed! 59. The Final Rounds: Rush to the Battle Arena! 60. Byakugan vs. Shadow Clone Jutsu! 61. Ultimate Defense: Zero Blind Spot! 63. Hit It or Quit It: The Final Rounds Get Complicated! 64. Zero Motivation: The Guy with Cloud Envy! 66. Bushy Brow`s Jutsu: Sasuke Style! 67. Late for the Show, but Ready to Go! The Ultimate Secret Technique is Born! 68. Zero Hour! The Destruction of the Hidden Leaf Village Begins! 69. Village in Distress: A New A-Ranked Mission! 70. A Shirker`s Call to Action: Layabout No More! 71. An Unrivaled Match: Hokage Battle Royale! 72. A Mistake from the Past: A Face Revealed! 73. Forbidden Secret Technique! Reaper Death Seal! 74. Astonishing Truth: Gaara`s Identity Emerges! 82. Eye to Eye: Sharingan vs. Sharingan! 83. Jiraiya: Naruto`s Potential Disaster! 84. Roar, Chidori! Brother vs. Brother! 85. Hate Among the Uchihas: The Last of the Clan! 86. A New Training Begins: I Will Be Strong! 87. Keep on Training: Pop Goes the Water Balloon! 90. Unforgivable! A Total Lack of Respect! 93. Breakdown! The Deal is Off! 94. Attack! Fury of the Rasengan! 95. The Fifth Hokage! A Life on the Line! 97. Kidnapped! Naruto`s Hot Springs Adventure! 98. Tsunade`s Warning: Ninja No More! 99. The Will of Fire Still Burns! 101. Gotta See! Gotta Know! Kakashi Sensei`s True Face! 103. The Race Is On! Trouble on the High Seas! 104. Run Idate Run! Nagi Island Awaits! 105. A Fierce Battle of Rolling Thunder! 110. Formation! The Sasuke Retrieval Squad! 112. Squad Mutiny: Everything Falls Apart! 113. Full Throttle Power! Choji, Ablaze! 114. Good-Bye Old Friend! I`ll Always Believe in You! 116. 360 Degrees of Vision: The Byakugan`s Blind Spot! 119. Miscalculation: A New Enemy Appears! 148. Even Akamaru is Jealous of His Searching Ability! Search for the Phantom Bikouchuu! 197. The Konoha 11 Gather! 209. The enemy is "Shinobazu"